Ultralink was designed for demanding cable runs in vehicles and other tight locations where low signal losses and superior shielding really matter. The white PVC outer jacket resists scuffing cracking in cold weather and UV deterioration in sunlight (also available in black PVC). Shielding is 100% with adhered foil plus the added mechanical strength of 90% tinned copper braid. 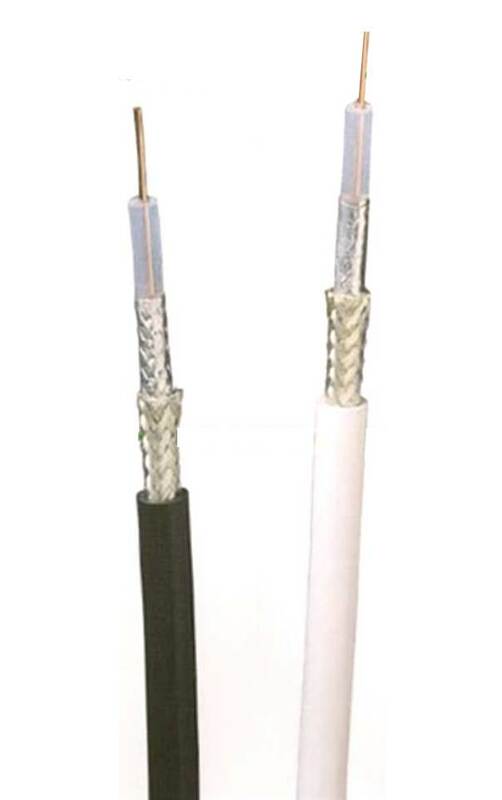 Foam FEP dielectric combines the high melting point of Teflon with the low dissipation loss of premium microwave-grade cable. When toughness and performance count Ultralink is the logical choice. Available in 500 ft. spool.